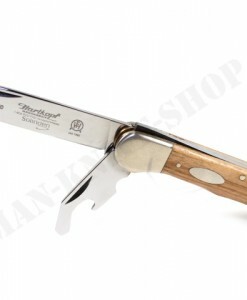 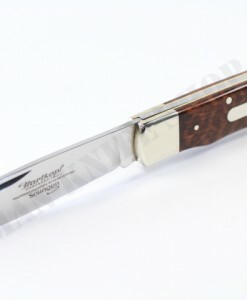 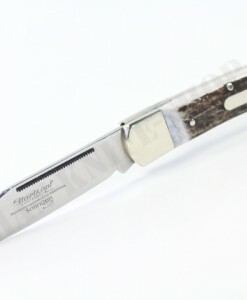 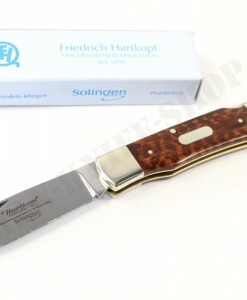 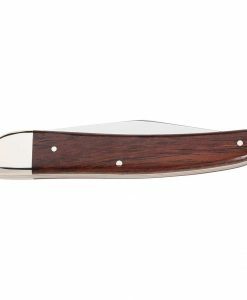 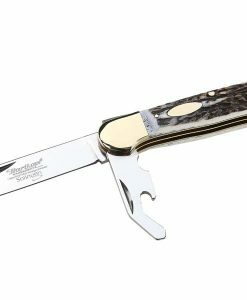 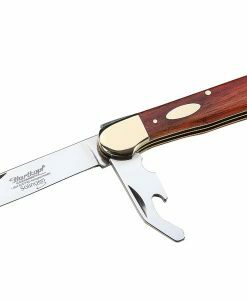 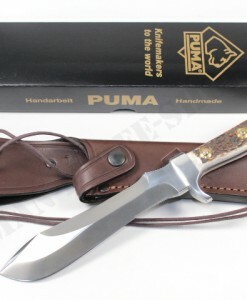 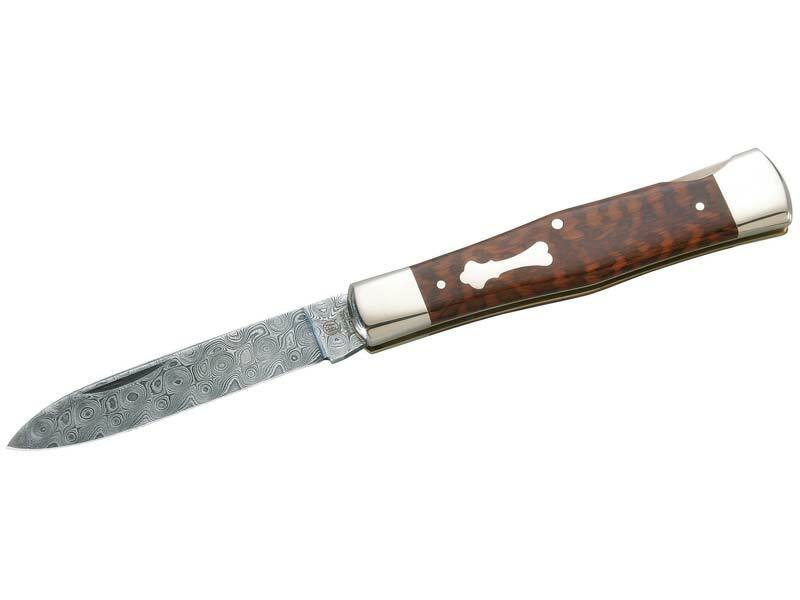 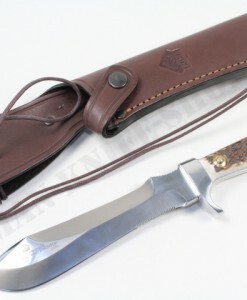 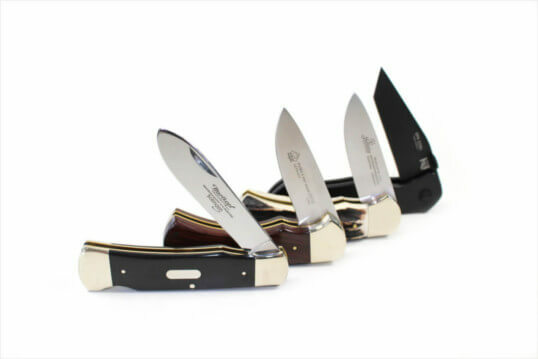 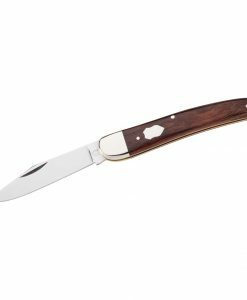 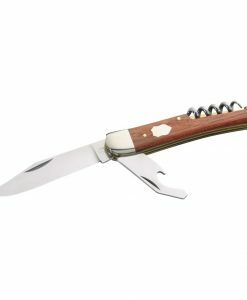 Fascinating beauty combined with German Solingen quality. 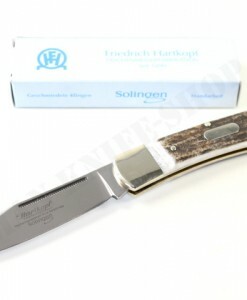 The hard head pocket knife inspires with a blade forged by Markus Balbach with 300 layers of rose damask. 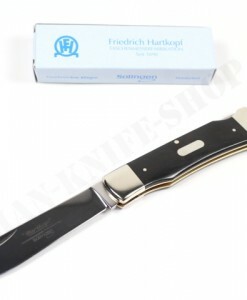 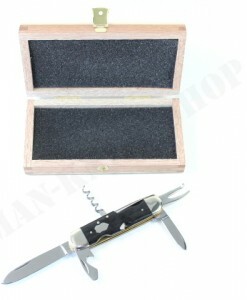 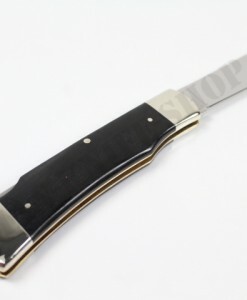 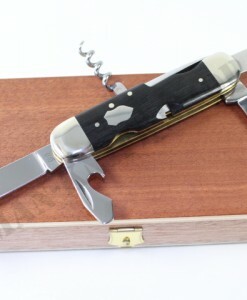 This non stainless steel blade is securely locked by a lock-back system after opening. 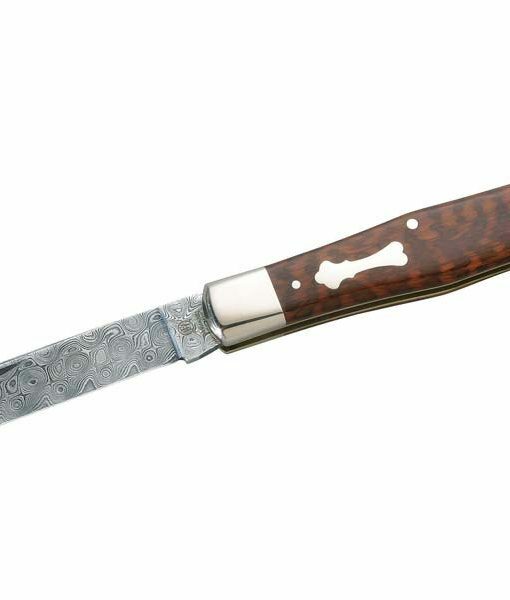 On the brass plates there are bowls made of beautiful snake wood. 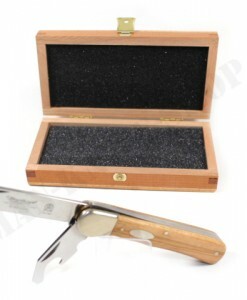 The polished nickel silver fittings and the nicely shaped engraving plate set further optical accents.